Ralph Singh is Chair of the Wisdom Thinkers Network. He is an author, educator, storyteller, speaker, and community builder. Ralph currently consults to develop curricula and resources to bring an understanding of shared values into schools using the teachings and wisdom stories from the world’s spiritual traditions and cultures. His latest project, “Stories to Light our Way, Journey to the World of Good” is an award winning, professionally produced audio CD with stories from eleven different traditions with accompanying teachers’ guide and lesson plans integrated into CCS. “Stories” has been featured in USA Today, and endorsed by some of the leading experts in character education and community groups. As Chair of WTN, he also convenes roundtables to help break down the ideological gridlock and build a shared narrative. For over 40 years, Ralph has focused on spirituality and values in education and in public life. He helped develop the “Schools of Character” project for the Central N.Y. Education Consortium, He developed and taught “Exploring Spirituality” (Character Ed from the Inside Out) for upper school and adult education programs. As Chair of the local United Nations Association, Ralph helped establish CNYMUN, the Central New York Model United Nations Conference at Syracuse University, which now draws over 500 students from the United States and Canada, served on the National Council of UNA-USA under Fmr. U.S. Atty General Elliot Richardson’s leadership, and on the advisory board of the Maxwell School of Citizenship and Public Affairs’ Program on Analysis and Resolution of Conflict. Concerned about the scourge of drugs and alcohol, he developed and coordinated drug awareness programs for local schools. Ralph has coordinated programs aimed at breaking down barriers between the disabled and able-bodied communities. He served as Chair of the City County Human Rights Commission, and, together with his wife Joginder, transformed soup-kitchens into community meals in an effort to dissolve class barriers and help develop community-based farmers’ markets. He also helped pioneer educational programs for 1st generation Sikh youth in America and championed the rights of Sikhs following the Indian government’s attack on the Akal Takhat in India in 1984. He helped launch and served as Vice-chair of the North American Interfaith Network, where he focused on Interfaith Education. He was founding President of Gobind Sadan, USA, and currently serves as Director of Publications and Public Relations for Gobind Sadan. Ralph has authored or edited five books, including his own stories at Baba Virsa Singh Ji’s feet, A Path to Follow, A Life to Lead, which chronicles his life as Babaji’s first foreign devotee, to his involvement in the community building efforts surrounding the post 9-11 arson attack on his spiritual community Gobind Sadan, USA, North of Syracuse, NY. He speaks regularly on diverse subjects related to spirituality and values in modern society, maintains a Huffington Post blog in addition to his own Exploring Spirituality blog, and contributes commentary and articles regularly to local media outlets. As long as Babaji was on this earth, Ralph served as his translator in international gatherings and as his representative at major conferences including the Millennium Peace Summit. 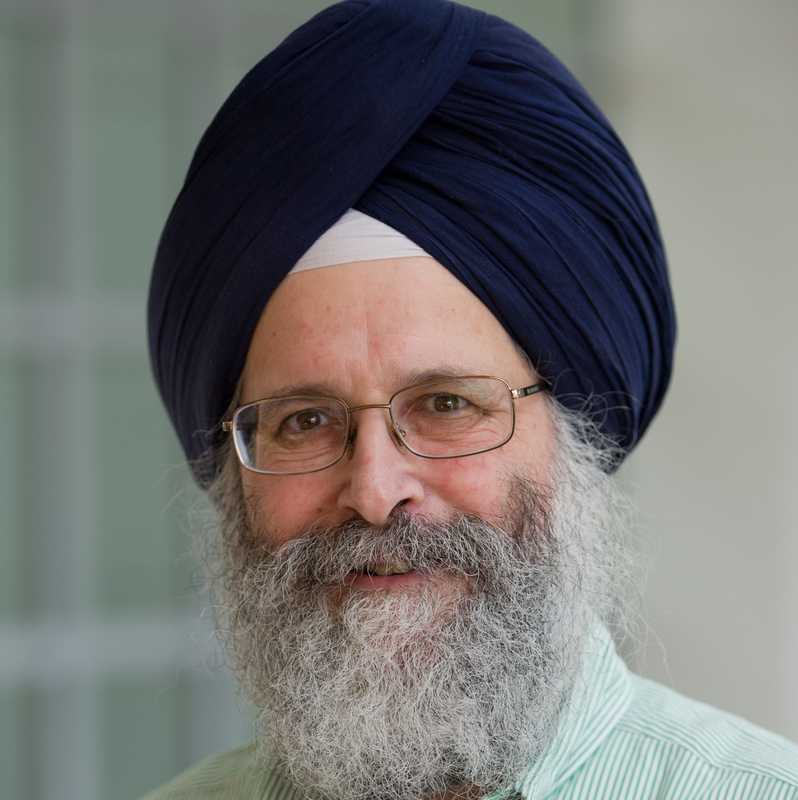 He has lectured and written on the importance of values and spirituality in modern society and has represented the teachings of the Sikh Gurus to national and international audiences from the Smithsonian Institution to local interfaith dialogues. He is a graduate of The Gunnery, received his degree in Japanese Area Studies from the University of Rochester, and maintains a lifelong study/practice of prayer and meditation and spiritual traditions.